A huge joy in life for many is running their own business. If you’re thinking about becoming an entrepreneur, check out these tips for running a small business. Are you looking to start your own business and become a successful entrepreneur? Then you’re in for quite the ride. Being a small business owner is a challenging role, but one that’ll give you so much freedom and happiness. It takes some business acumen, dedication, and strict self-discipline to turn a profit, but also a strong sense of what your customers need. These skills will help you offer the best products to your target market and solve their problems. Entrepreneurship sounds like an easy way to live and work, but it’s one of the hardest things you’ll ever do. You’ll wear many hats and be a CEO, a marketer, a bookkeeper, and a customer service representative, all in one. If you’re ready to launch your business, keep reading to learn the best tips on running a small business that’ll help you stay profitable in the long run. One of the first and most essential small business tips you’ll ever get is to make a detailed business plan. Cover your unique brand values, budget, marketing efforts, the story you want to tell, and the types of products you’ll be selling. Once you get a clear vision of your goals, you can move forward and start accomplishing. You can’t start a business without a sense of the expenses related to it. If you go too far in the beginning stages, you’ll end up broke, in debt, and stressed out. To avoid this and join the league of successful small business owners, make a budget plan for every aspect of your business. This will help you better plan your future business activities and investments. Many business owners make the mistake of trying to sell their product without focusing on their customers’ needs. The best advice for business owners is to shift their focus to offering a solution to a particular problem. If you do that effectively, your customers will flock to you and spend money on your products. They’ll come for your knowledge, expertise, and true desire to help them. Your product will serve as the ultimate proof of that. This website is a great example of a business offering straightforward solutions to their customer base. Want to know how to be a good business owner? Be an even better student! Learn as much as you can about your target customers, your product, running a business, and handling unhappy customers. Some of the best business tips for small business owners come from those who learned from their failures. 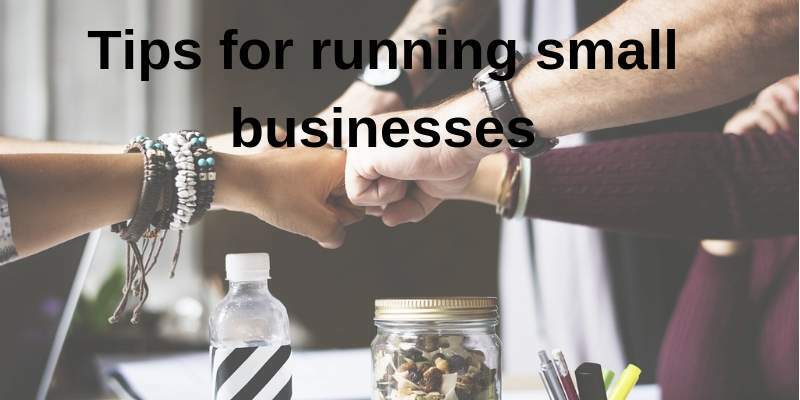 Running a Small Business Is Easier With These Tips! Running a small business is not a walk in the park and requires a set of business and marketing skills to make it. If you have a unique idea for a product or service and are ready to make some sacrifices, these tips will make running a small business a piece of cake. Want to read more business and lifestyle articles? Check out our blog.